The State Department says the week-and-a-half-long trip is intended to emphasize a strong, long-term U.S. focus on the entire Asia-Pacific region. “It is a very long, very diverse trip, but the concurrent themes that run through this is a strong, determined effort on the part of the United States to underscore our rebalancing towards the Asia-Pacific region, to make clear that we’re here to stay, that we are engaged on an array of issues — strategic, political, commercial,” a senior State Department official told reporters ahead of the trip. While reading this article todays in class discussions comes to mind. The discussion about the values and goals for the United States foreign policy such as alliances is displayed in this article. 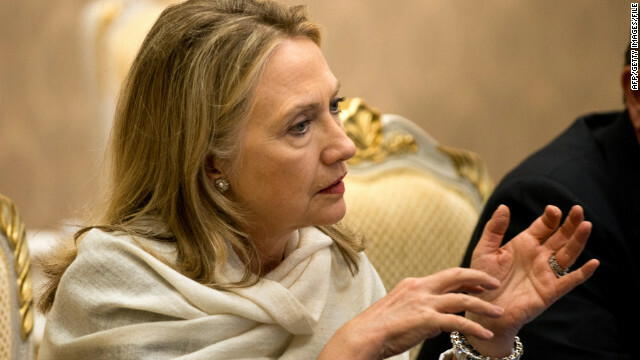 Secretary of State Hillary Clinton will embark on a trip throughout Asia demonstrating the United States interest to keep alliances and peaceful relationships with Asian countries. This also exemplifies the position President Obama has towards foreign policy and how he values maintaining a good relationships with Asian countries like China because of the great impact it has on the United State’s economy. The correlation between the importance of Asia to the United States also has a connection with todays discussion on the possible catastrophes around the world that would be disastrous for the United States. An example of these types of catastrophes as mentioned in class are the possible changes in Chinese currency and the halt of exportation of Chinese natural minerals to the United States. These types of catastrophes is what the United States wants to avoid and by maintaining good relationships in Asia seems to provide a peace of mind to the US that by maybe visiting and reassuring these Asian countries of the US presence will allow for continuous cooperation. US Secretary of State, Hilary Clinton, will be visiting Asian countries such as Vietnam, Thailand and China to reenforce US presence but only time will tell if these visit will be as beneficial as the United States expects them to be. 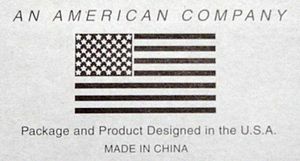 We have all seen the stamp or sticker that says “Made in China” on products we see everyday. This makes sense because the U.S. imports from China have grown from $81 billion to $338 billion. Even with these numbers the “Made in China” stamp is still deceiving. Over the last two decades companies have spread across the world, meaning that many of the product that we use and buy everyday, are in fact not solely made in China, but actually are made throughout the world. China is usually the last stop for all of those products to get put together so they tend to get all the credit. China is just the one who puts it all together. So besides this being just a fun fact, why does this matter? Well this means that the trade deficit with China and the U.S. is a lot smaller than meets the eye, but this also means that the trade deficit with the other countries that are actually making the parts of these products is a bit more that we thought. This also means that China’s dependency on exports is not as much as we thought. Because China does not make the majority of most of the products and mainly does the assembly of them, that means they share the loss with other countries when there is a decline in exports. The only thing is that China does not suffer as much from the loss because they do not contribute the most to the product. This means that countries like Japan and Korea are suffering a lot more than China when there is a loss in exports.This information can cause us to think a little bit differently about the “made in China” stamp and instead, as it is said in “The Myth of ‘Made in China'” article, a stamp that said “Made Everywhere” might be more accurate. The China Bubble – By Richard D’Aveni | Foreign Policy. Running with the question posed in this week’s class, “How will the U.S. react to China’s increase in power in the next 20 years,” and it seems, according to this article, that growth has not only slowed, but it is also somewhat risky to invest in China’s success. Sure there are plenty of wonderful success stories of American companies cashing in big through the use of the Chinese market, but there are some important drawbacks like the decline in industrial output. With the Chinese government acting in their self-interest, US companies should be wary of being shut down in favor of native Chinese companies, and even the theft of product in order to make Chinese companies more profitable, which happened to an American technology firm. Although it may seem like investing in China would be the best business decision to make in today’s economy, analysts have figured that, in the long run, investments will weaken and only end in regret. Maybe, just maybe, the U.S. will not need to worry about China’s growing power. Just maybe. Ever since the end of the second World War, Europe has begun the process of redefining how to solve issues between states. Key players like Jean Monet believed that the only way to prevent war, the most costly of all actions that a state can engage in, was to focus on integrating the states. He laid the groundwork to bind together the coal and steel networks of France, West Germany, and the Benelux countries, and believed that even further integration would occur – from economics to foreign policy. 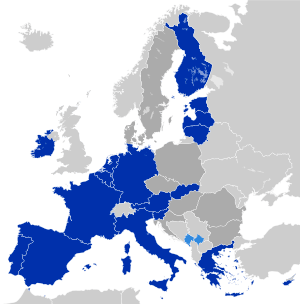 What was once considered a far off dream to Monet, monetary union has been in place in the structure of participating EU states since the early 2000s. Now, in 2012, many are talking about the end of the common currency in Europe. The shocks sent by Greece, and now even Spain (the twelfth largest economy in the world) have brought the entire monetary union in jeopardy. This week, I have decided to look at a pro-European argument of the current situation in the EU. C. Fred Bergsten of Foreign Affairs (http://www.foreignaffairs.com/articles/137832/c-fred-bergsten/why-the-euro-will-survive) aptly highlights why he believes that the Monetary Union will not collapse; rather, the EU will take steps to bring the entity closer to a more nuanced economic union. He notes that it was the distinct lack of fiscal union and other institutions that kept leaders hands tied when Greece went belly up. However, the European Central Bank and Germany did step up to the plate and prevented a complete collapse. I have to agree with Bergsten, it would be far too costly for Europe to abandon monetary union, and regress back to the previous ways of doing things. Not every country can be like the UK, European on one day, and an island the next. Two questions remain though: just what institutions would the majority of states support, and how long would it take to incorporate fiscal union into the European project? The first question is tremendously important, as leaders like Angela Merkel of Germany have a tricky two-level game to play: to maintain their power at home, but also to make the best decisions in the foreign policy realm of integration. The removal of leaders like Merkel, who are arguably pro-integration might radically change the portrait of the European story. As for the second question, I do not think that fiscal union would come quickly. It would require the ceding of the most precious sovereignty – the power to tax. It would take serious convincing for to sway the average German to give up such a power.